On the afternoon of January 16, 1893, 162-sailors and Marines aboard the USS Boston in Honolulu Harbor came ashore under orders of neutrality. So, who were in the 13-signatories from the Committee of Safety who sought American intervention and what interests did they have in Hawaiʻi? The Committee of Safety was made up of 6-Hawaiian citizens (naturalized or by birth (American parentage;)) 5-Americans, 1-Englishman and 1-German. The Committee selected Henry Ernest Cooper as chair at a meeting on January 14, 1893. Cooper, a lawyer specializing in real estate abstract work, had moved to Honolulu from San Diego with his family on February 3, 1891. 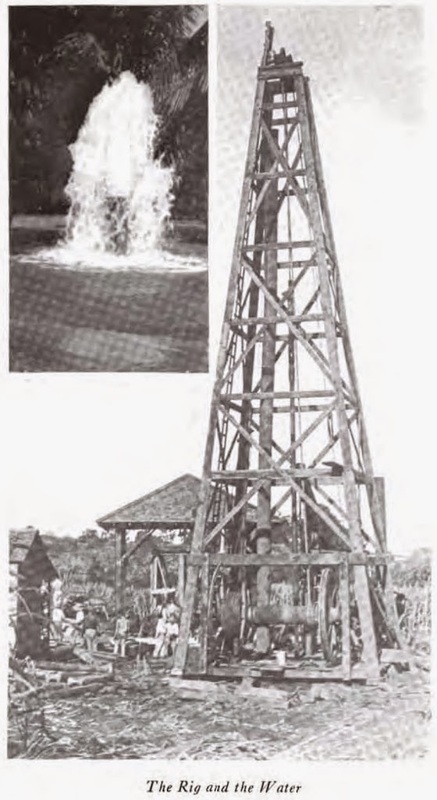 Andrew Brown, Scottish national, was formerly a coppersmith at the Honolulu Iron Works and later superintendent of the water-works system of Honolulu. John Emmeluth was an American citizen who emigrated to Hawaiʻi in 1879; he was owner of John Emmeluth and Company, Honolulu’s principal plumbing and household furnishings business. He was also a pineapple grower and experimented with pineapple canning and later was shareholder and officer in the Hawaiian Fruit & Packing Company. He later joined forces with Robert Wilcox in the Home Rule Party. Theodore F Lansing was an American citizen (from New York;) he was an insurance agent and commission agent. He later became Treasurer of the Territory. John Andrew McCandless was an American (Pennsylvania) and later naturalized Hawaiian subject. He was a well-driller and cattleman. He was the first superintendent of public works under the territorial government, and while holding this office built the first road around Diamond Head on the sea side of the crater, and the lighthouse there. Frederick W McChesney is grandson of Matthew Watson McChesney (who came to the Islands from New York in 1879.) His father was a tanner by trade and established a small tannery in connection with a grocery store and later formed MW McChesney & Sons. They later added Honolulu Soap Works; Frederick also worked in the fruit trade, with Woodlawn Fruit. William Owen Smith was born on Kauaʻi August 4, 1848 of American missionaries; he was an attorney. He served as Sheriff on Kauaʻi and Maui. On April 24, 1873, while serving as Sheriff on Maui, he planted the banyan tree on Front Street in Lāhainā (to commemorate the 50th anniversary of the American Protestant Mission there.) He was later law partner with Lorrin Thurston and served as Attorney General in the Provisional Government. Lorrin A Thurston, was born on July 31, 1858 in Honolulu, grandson of Asa and Lucy Goodale Thurston, who were in the Pioneer Company of American Protestant Missionaries (1820.) He was a lawyer and publisher (Pacific Commercial Advertiser – later, Honolulu Advertiser.) He was member House of Representatives, Hawaiian Legislature, 1886; Minister Interior, 1887-1890 and House of Nobles, 1892. He worked with George Lycurgus and others for ten years, starting in 1906, to have the volcano area made into Hawaiʻi Volcanoes National Park. Edward Suhr, a German citizen, worked for H Hackfeld & Company. Hackfeld developed a business of importing machinery and supplies for the spreading sugar plantations and exported raw sugar. H Hackfeld & Co became a prominent factor – business agent and shipper – for the plantations. Henry Waterhouse was born in Tasmanian in 1845; at age 5, his family moved to Hawaiʻi. He was a businessman, operating Henry Waterhouse Trust Company, real estate and investment firm; he was also managing partner of John T Waterhouse, a general mercantile business. He served in the House of Representatives (1876) and House of Nobles (1887-1888.) In addition, he occasionally filled in as pastor for the Sabbath services at Kaumakapili Church. In 1887, the struggle for control of Hawaiʻi was at its height with David Kalākaua on the throne. But some of the businessmen were distrustful of him. The Hawaiian League (aka Committee of Thirteen, Committee of Public Safety and Annexation Club) were unhappy with the rule of Kalākaua and used threats to force the king to adopt a new constitution. As a result, the new constitution earned the nickname, The Bayonet Constitution. On July 1, Kalākaua asked his entire cabinet to resign. Kalākaua signed the document July 6, 1887, despite arguments over the scope of the changes. It created a constitutional monarchy like that of the United Kingdom. On July 30, 1889, Robert William Wilcox led a rebellion to restore the rights of the monarchy, two years after the Bayonet Constitution of 1887 had left King Kalākaua a mere ﬁgurehead. 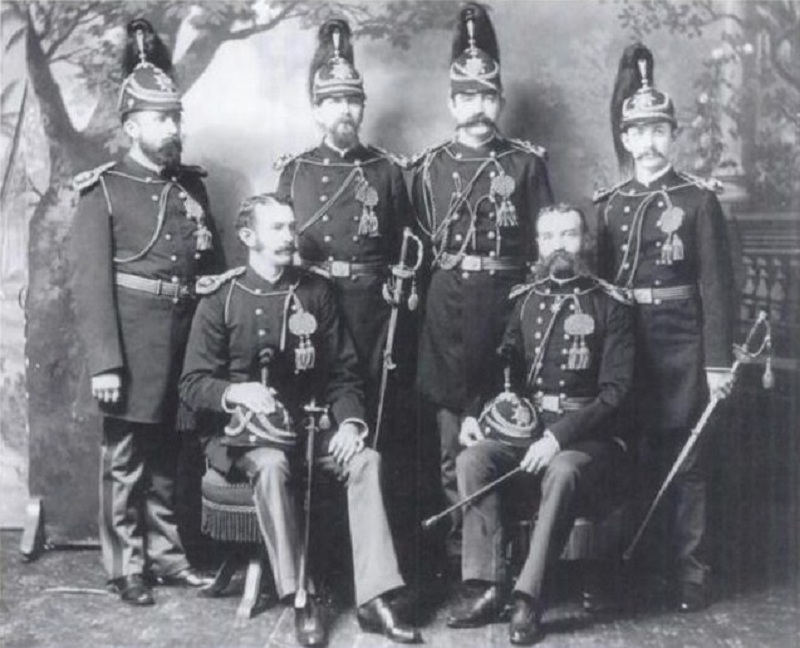 The image shows some of the “Honolulu Rifles,” the militia in support of the 1887 Constitution. In addition, I have included other images in a folder of like name in the Photos section on my Google+ page.